British Prime Minister David Cameron wants to push for an end of the 2011 EU arms embargo on all sides of the Syrian conflict, a report shows, in order to help the opposition and force Syrian President Bashar al-Assad out of office. 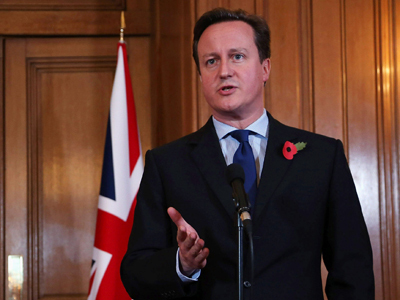 ­Cameron also allegedly wants to exert more pressure on the US in this regard, Downing Street sources told The Guardian. 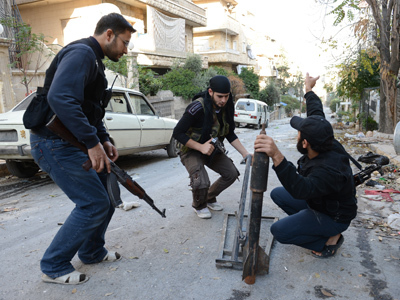 If Cameron is successful in his bid, it could allow the UK to supply arms directly to the Syrian rebels. An arms embargo placed on Syria in 2011, two months after the fighting began, does not permit either side in the conflict to receive military aid from abroad. However, the text of the embargo reads: "By way of derogation … the competent authorities in the Member States … may authorize the sale, supply, transfer or export of equipment which might be used for internal repression, under such conditions as they deem appropriate, if they determine that such equipment is intended solely for humanitarian or protective use” – a wording which some believe will allow Cameron to plead his case, according to The Guardian. Cameron’s remarks came after a visit to a Syrian refugee camp in Jordan, where, according to the Telegraph, he said “Now, with a newly-elected American president, we have got to do more to help this part of the world, to help Syria achieve transition." “Let's work together on really pushing what more we can do, what other steps we can take to hasten the end of this regime,” he added. 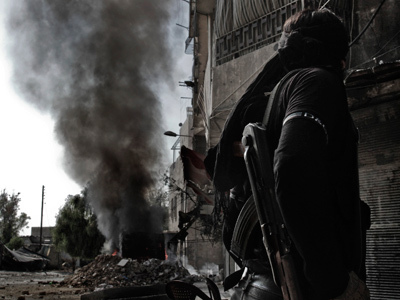 Calls for foreign intervention in Syria have repeatedly come, and not only from the Syrian opposition outside the country, or the Free Syrian Army, which operates internally. France, Qatar and Saudi Arabia have also made vocal their determination to end the conflict in Syria by outside intervention and the ousting of President Assad. Turkey has recently asked for NATO help, citing fears of the conflict spilling across borders. It includes a request to put American-made Patriot missiles on its border with Syria. Turkey even threatened military action inside Syria, if it deems necessary. Other reports indicated that Ankara has set up a joint venture with Qatar and Saudi Arabia to form a secret base on the border with Syria to aid the rebel fighters. The United States and EU do not supply weapons to the likes of the Free Syrian Army, but have offered millions of dollars’ worth of financial aid to the militant opposition. Washington alone has pledged $130 million in humanitarian aid and more than $40 million in non-lethal aid to opposition in Syria. 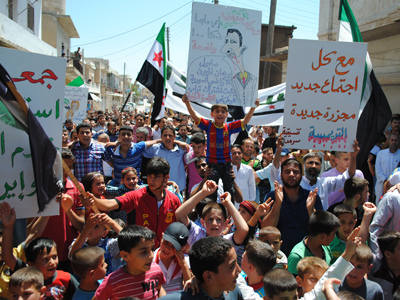 The opposition National Syrian Council has received more than $40 million in aid since its inception in October 2011, according apress release cited by Arab media. On top of that, Qatar and Saudi Arabia have also supplied arms to the Syrian rebels – something that touched a nerve even in Washington, as a New York Times report indicated that US officials were worried about the weapons supplied by the Arab states ending up in the hands of jihadists, instead of the more secular-minded opposition groups. The Syrian opposition, meanwhile, once again failed to show unity during their latest congress in Qatar. The four-day meeting in the country's capital Doha was promoted by the US and its allies as an attempt to create a more cohesive opposition leadership, which would be easier to work with. The SNC has come under increasing scrutiny for its inability to broaden its spectrum of representatives or to include some of the opposition members still in Syria. Washington has made it clear that it wants a more diverse and better-organized, united opposition group than the current arrangement of dozens of smaller factions and the Istanbul-based Syrian National Council at the helm – something which left the group outraged. 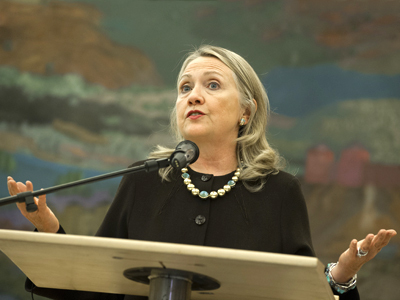 Secretary of State Hillary Clinton slammed the SNC, comprised mostly of exiled regime opponents, for failing to gain support from rebel factions. “We've made it clear that the SNC can no longer be viewed as the visible leader of the opposition,” she last month.